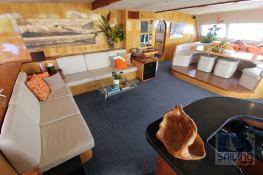 Zingara is a wonderful Silhouette 76 catamaran built in 2006, featuring five guest suites, each with plasma TV/DVD and PlayStation. 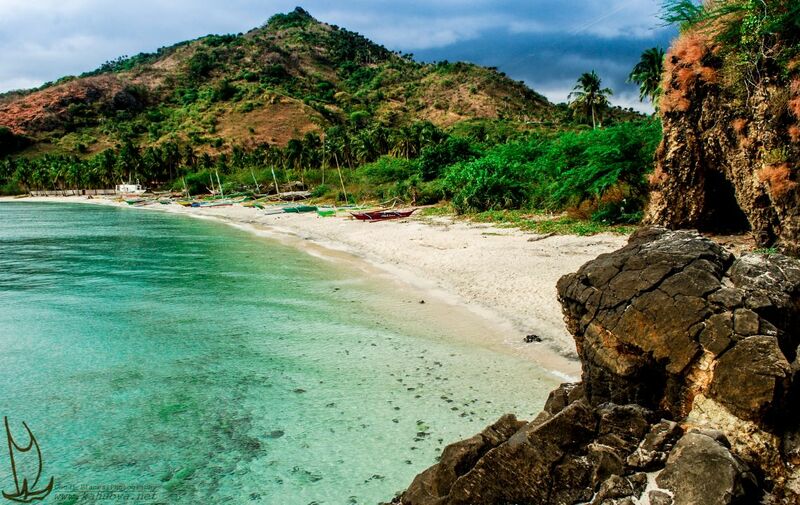 A professional crew of four completes the chemistry to create the perfect platform for a deluxe sailing adventure. The spacious flybridge provides a great area to relax on board Zingara, while enjoying the best view of the action. 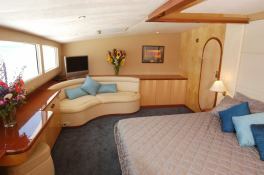 A hot tub affords guests the chance to "soak and sail" ! 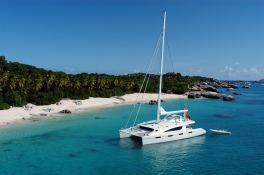 The luxury 76' catamaran Zingara, built in 2006 by Matrix Catamaran, is a superbly comfortable 23.34M yacht catamaran which welcomes up to 10 guests on board with a crew of 4. 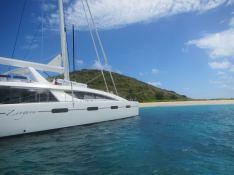 She is available all year round for charters in British Virgin Islands and Caribbean and is equipped with air conditioning, BBQ, jacuzzi and also fishing equipment, kayak, sailing gear, scuba gear, waterski, CD, DVD and video games for a wonderful luxury catamaran experience. 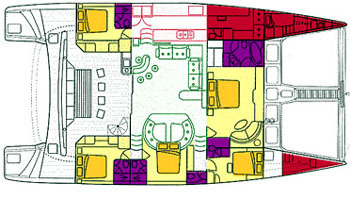 Zingara is available for yacht charter with a base price of 45 500 $ (approximatly 40 346 €).